We Easties are a pretty chill bunch - that is, until you bring up the East vs. West debate. 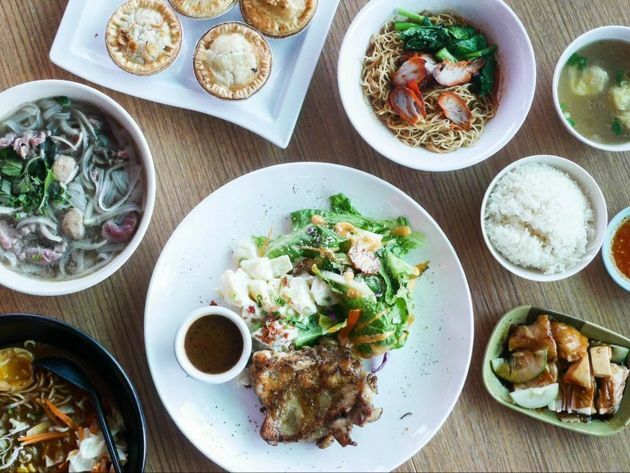 Some of the island’s best eats are concentrated in the East of Singapore, but that’s only half of the reason why Easties beyond proud of their hood - now we’re pulling out the big guns. 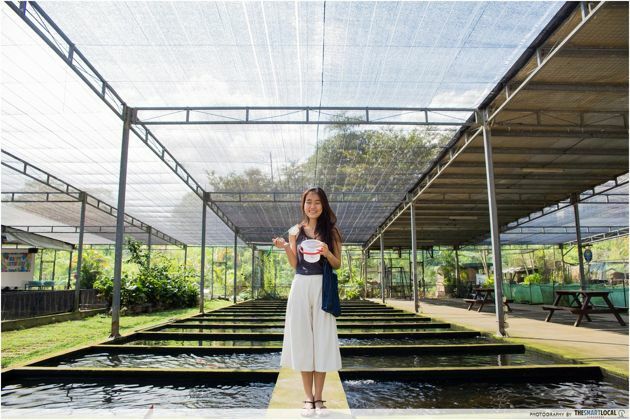 East Coast Park, Old Airport Road, and Simpang Bedok aside; our heartlands hide lesser-known gems that just don’t get enough credit. We’ve sussed out 20 east-exclusive things to do that’ll make you wish you were one of us. With its vintage storefronts resembling old shophouses, and its interior decked out with old-school paraphernalia; this revamped hawker centre looks straight out of the 60s. 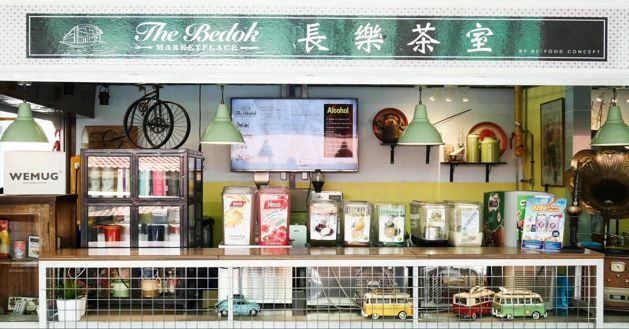 A mish-mash of old and new, The Bedok Marketplace is where young culinary talents take centre stage. And it’s not just your usual hawker fare either - expect Vietnamese pho, delectable yakitori skewers, and even a wine bar to boot! 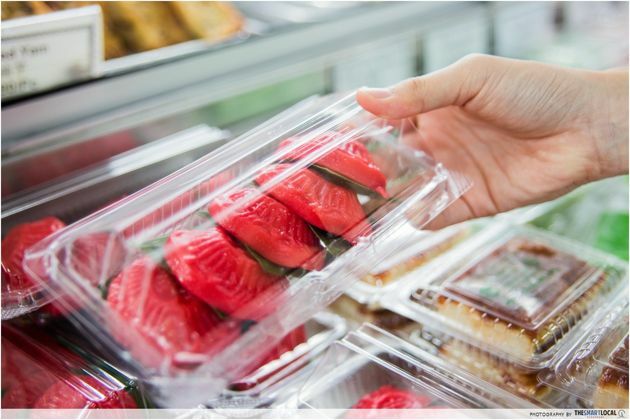 But if you find yourself hankering for some local flavours, fret not because they’ve chicken rice and wanton noodle stores in their midst too! Longkang fishing didn’t ring any bells at first, but while swishing my net around I was hit with a serious case of déjà vu - this was the exact spot where I fished out my very first pet 14 years ago, equipped with a small bucket and net. Asian squat longkang fishing, in all my unglam glory. Honestly I have no idea how mini-me managed to net in any guppies at all (current-me caught a grand total of two). 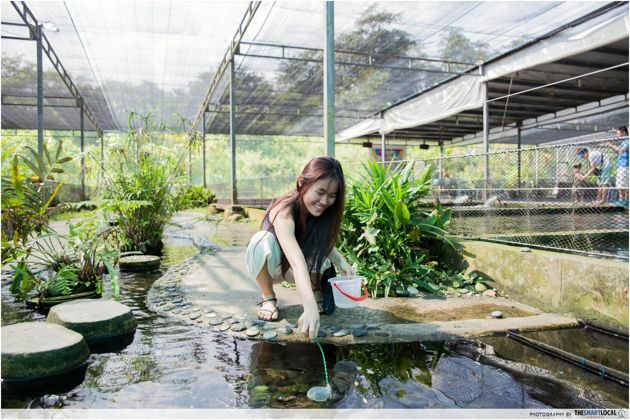 Terrorising guppies probably isn’t the first thing that comes to mind when you think of a fun day out, but don’t knock it until you’ve tried it! 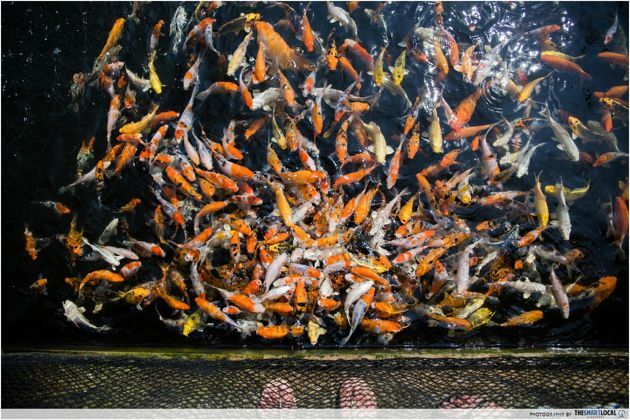 For even more family-friendly fun, get some fish food from the counter and watch greedy fishes swarm even before the food reaches the water. Ditch the high-end shoes for this day trip, because you’ll definitely be in the splash zone! I’m a firm believer than staycations put the ‘-acation’ in ‘vacation’, because just thinking about long stuffy flights and last-minute manic packing is enough to make me crawl right back into bed. And for an alternative staycation like no other, Rabbit Carrot Gun is the place to be for a classic B&B. Above their 50-seat diner is The Rabbit’s Warren: five luxurious refurbished suites, cleverly soundproofed so the noise below won’t drive you mad as a March hare. Given their motto ‘Manducare Bibere Somno’ (Eat Drink Sleep), you know you’ll be well taken care of here. Sorry Easties, I’m giving this secret up. Whether you like yours crispy, fluffy, or stuffed with cheese and mushrooms, nothing comes close to a plate of this Indian comfort food. 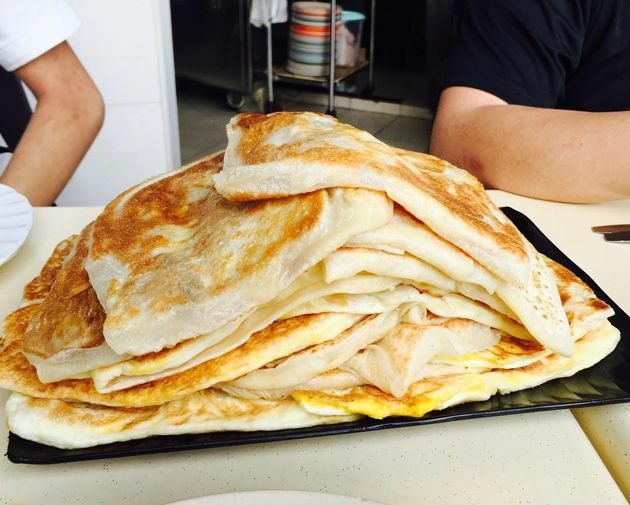 At long last, your dreams of combining every sweet and savoury prata imaginable has come true, and for as little as $7.90! ‘Dem #carbgains don’t get any better than this. 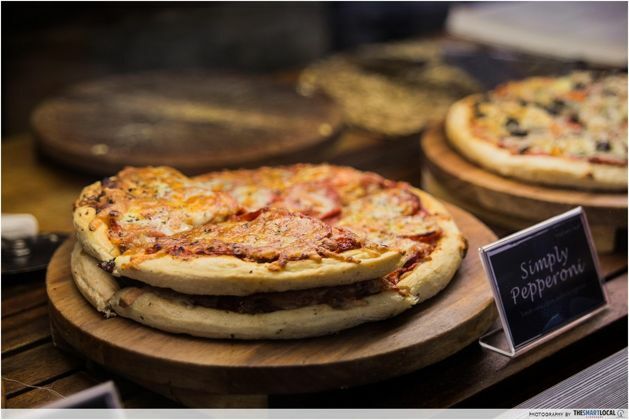 Good things come for those who wait - a little birdie told us that Prata Corner also has regular buffet promotions, with prices dropping to $6/pax. Now this is what post notifications were made for. 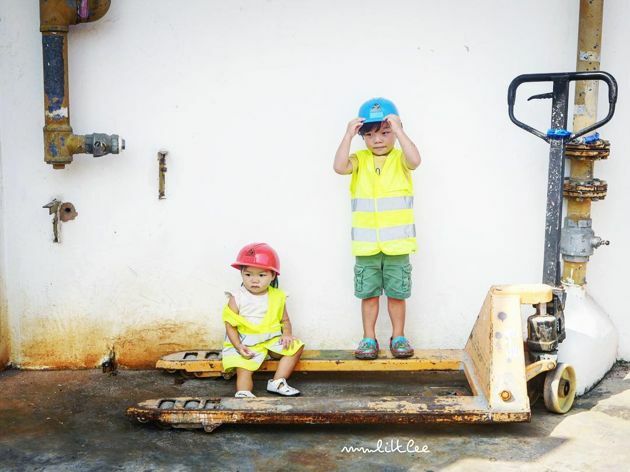 Construction sites = noise, dirt and zero afternoon naps for days. But this curious new site at Raintree Cove, manned by little diggers donning bright yellow vests and helmets, is not your average playground. 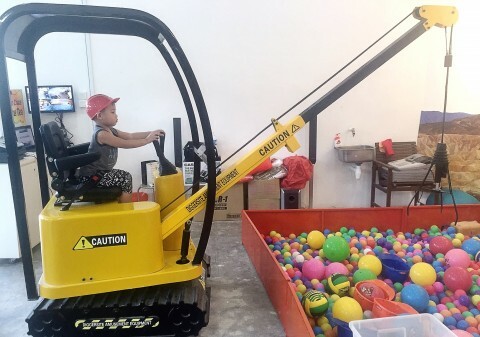 With REAL excavators, wrecking balls and a life-sized claw digger, all your Bob the Builder dreams have come true. And in case you’re wondering, Diggersite doesn’t have an upper age limit; so if picking up bricks and knocking over bottles is your idea of a good time, you’re welcome. As much as I love these lop-eared furballs, I’m too much of a klutz to handle these delicate creatures. The French Lop is for sure my ideal bun - the largest of the lop-ears, if only I could have this cat-sized rabbit to hug to sleep every night! For those still looking for your bunny bud, there’s no place better than the Rabbit Headquarters! 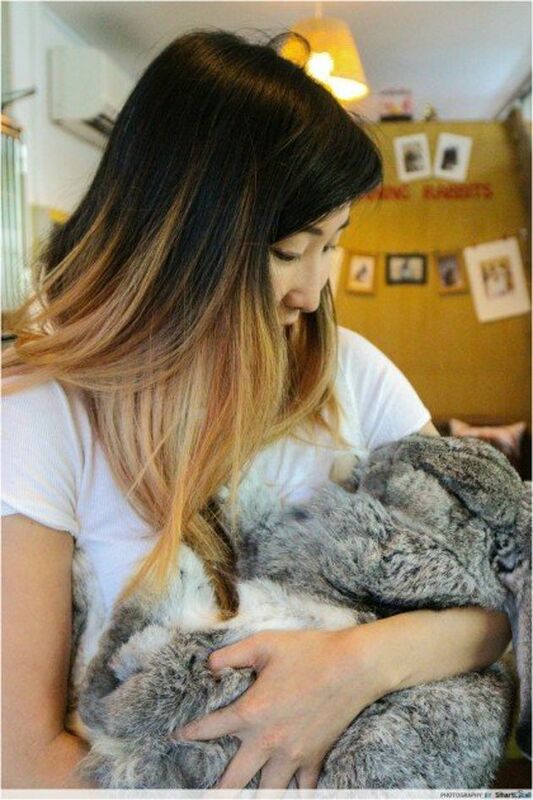 Run by bunny-lovers, for bunny-lovers, you’ll find up to 11 different breeds of rabbit, including said larger-than-life French Lop. A bargain hunter’s heaven hidden in folds of Opera Estate, Shop@REDCROSS is filled to the brim with apparels, shoes, and accessories from designer labels, so dig deep. This thrift store is a treasure trove of vintage buys, and you may just chance upon some star retro finds - old picnic baskets, old collectible CDs or worn leather luggages from the 30s. Happy hunting! 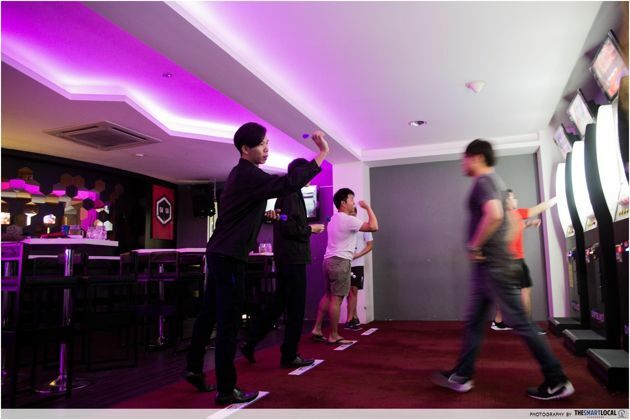 Throw the pointy things at the centre was all I knew about darts going in, and after playing 20 rounds I was still as clueless going out. 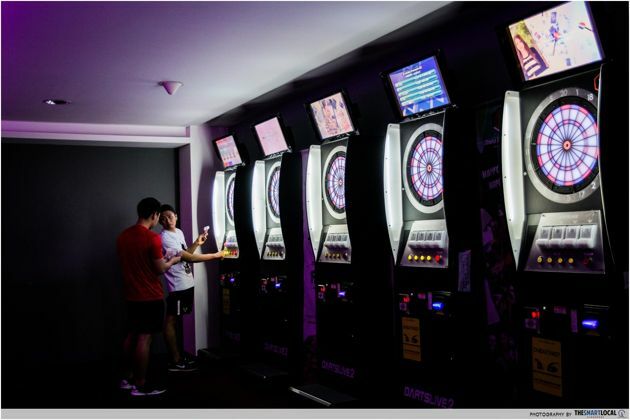 But iDarts YOLO isn’t just an arena for professionals - just an hour with their state-of-the-art dartboards and trained instructors, and you’ll be shooting like a pro. If not, throwing pointy things while enjoying a cold one will be fun as long as you have good company, whether you hit the board or not. What better way to channel your inner neanderthal, than leaping from suspended bridges as your let out your best Tarzan roar? 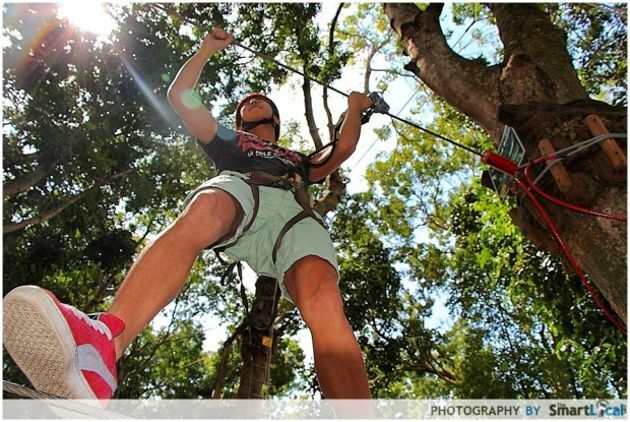 Hidden among the trees of Bedok Reservoir, Forest Adventure is an aerial obstacle course that is suitable for both the young, and the young at heart. End your adventure with a bang as you zip-line 200 metres across Bedok Reservoir. Fair warning, you may not want to have your first date here, lest you kay kiang and end up embarrassing yourself. 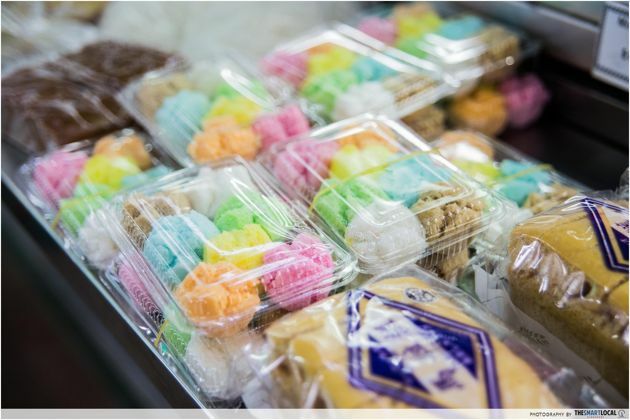 Kueh in all its forms somehow always evokes a sense of nostalgia in us, and these old-school treats are fast becoming icons of our colourful Singapore heritage. 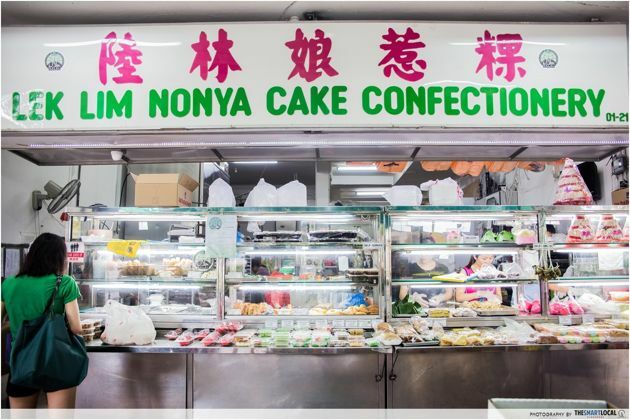 And in the charming Bedok neighbourhood, Bengawan Solo’s predecessor Lek Lim Nonya Cake Confectionery stands the test of time, doling out homemade sweet and savoury kuehs such as kueh lapis sagu, 鸡蛋糕 (traditional steamed egg cake) and ondeh ondeh. Online shopping can be an absolute nightmare: lost mail, MIA sellers, and worst of all - clothes that don’t fit. Convenience comes at the price of CAROUHELL, so thank goodness for blogshops gettin’ physical. Tailored for modern women, Ninth Collective (previously The Blush Inc) offers everyday styles that’ll up the ante on your stuffy work wardrobe beyond pencil skirts and sleeveless shirts. 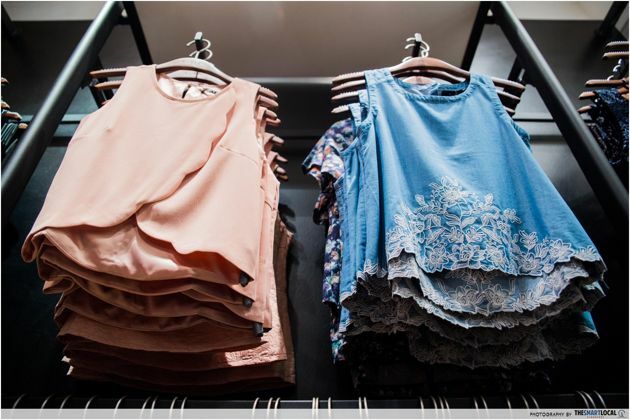 Just a peek into their store and I fell in love with all the pretty hues and clean lines of their apparels - it’s safe to say you won’t leave Ninth Collective empty-handed. Crowds typically flock to punggol and bukit timah to fulfil their equestrian fantasies, but we easties have a stable all to ourselves, tucked away a little corner of Pasir Ris Park. 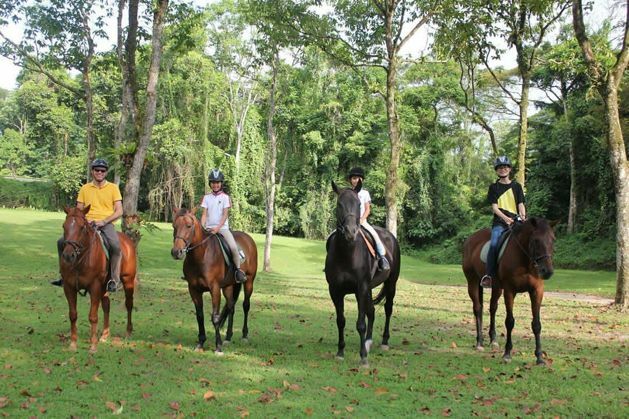 Ride away into the sunset on one of Gallop Stable Pasir Ris’s noble steeds at the largest public riding centre in Singapore, or feed the resident ponies and tour their stables to get up close and personal with them! Plus, they’ve done away with pesky memberships so anyone can ride, without a hefty dent in your wallet after. Gee up! 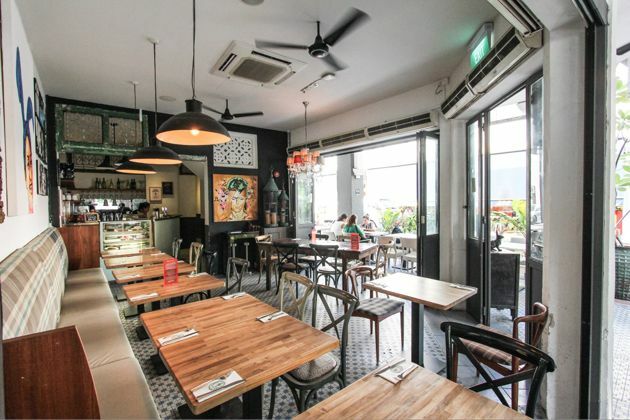 Dropping by Katong without a laksa feast may seem counter-intuitive, but beyond their renowned bowl of noodles, this indie neighbourhood is fast growing into a vibrant cafe district where there’s something for even the pickiest of eaters. 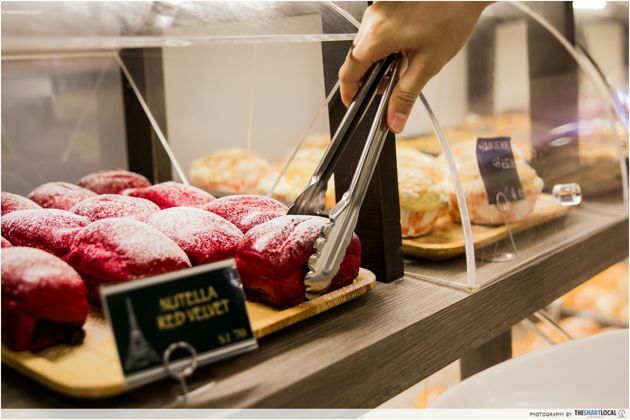 Most of these cafes are still relatively undiscovered, so you can enjoy novelty eats such as curry crab ramen and salted egg ice cream in peace. 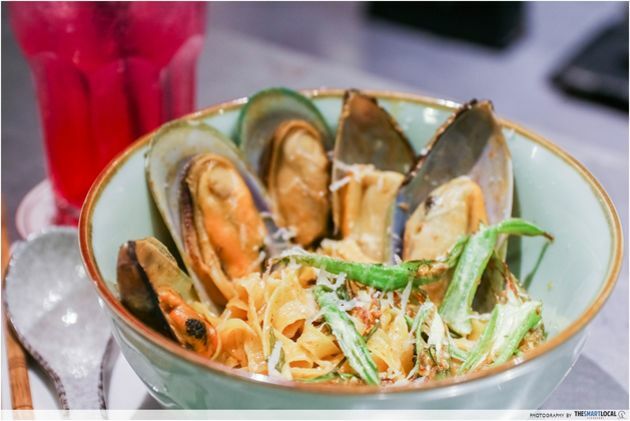 And if you die-die must have your bowl of Katong Laksa, why not switch it up with Ninethirty’s Laksa Tagliatelle ($20) to satisfy your cravings for this coconut-based noodle soup? Find me good bread, and I have no qualms about having four meals a day. 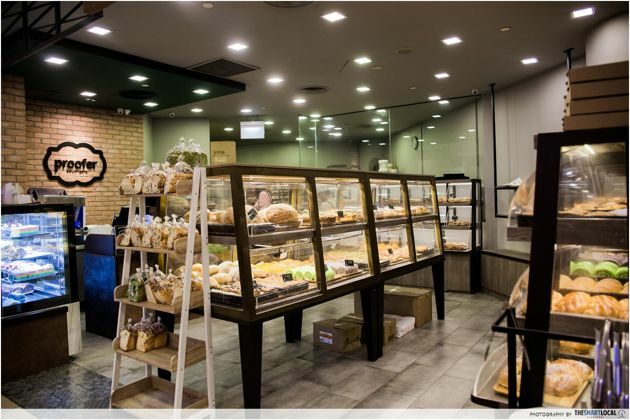 We’re decked out with artisanal bread joints and heartland bakeries, but one of the most underrated has to be Proofer Boulangerie, where you’ll find larger than life loaves, pastries and quality buns. Their homemade pizzas were the real deal - once you catch a whiff, resistance is all but futile. Chewy and oh-so-flavourful, Proofer’s pizzas tasted a whole lot better than they looked. At just $3.90 a quarter, this is the epitome of guilt-free indulgence. 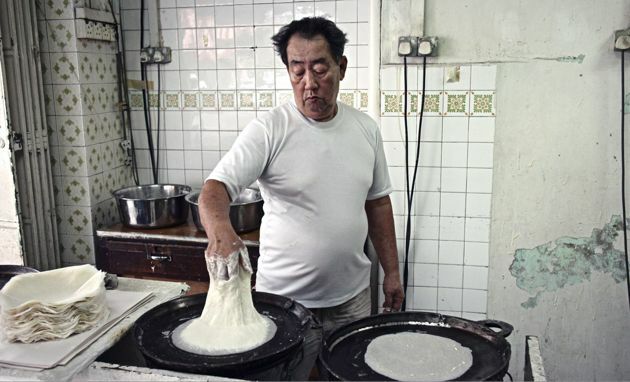 It’s a rare find to chance upon hawkers who still follow traditional methods of preparing local favourites, especially when you can buy frozen pratas and ready-made noodles from factories anyway. 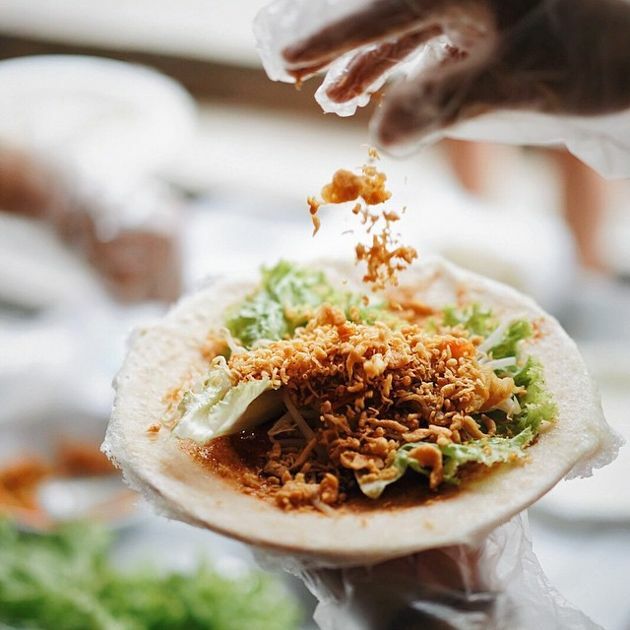 One of the few remaining stores that make their own popiah skin, customise your own while watching paper-thin popiah skins being tossed into the air at Kway Guan Huat Joo Chiat Original Popiah & Kueh Pie Tee. Or if you’re feeling adventurous, tapau their DIY popiah set to learn the secrets behind this age-old recipe. But really, I’d rather snack on those made by the pros. Don’t lie. You’ve spent every long weekend this year working, and are always last to leave the office. You deserve some R&R, but for non-ballers a weekly spa day is out of the question - that is, unless you have it in your own home. DIY spa days are super convenient too: just pick up a diffuser, some massage and body oils and you’re good to go! 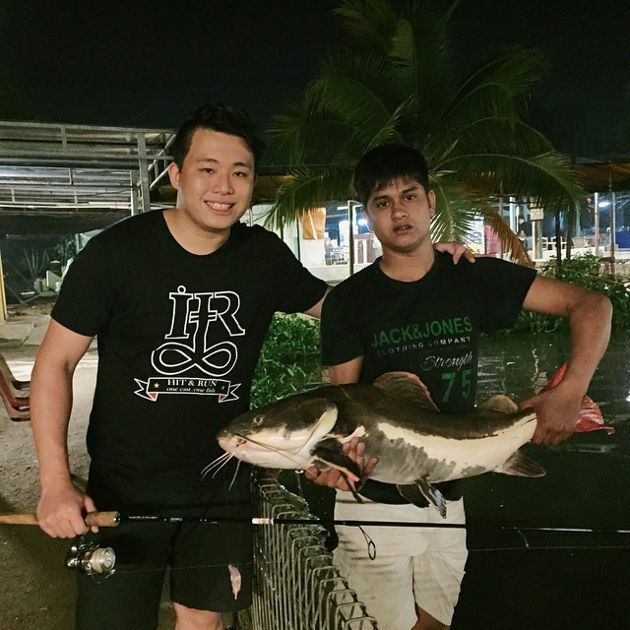 We’re in no shortage of fishing spots in Singapore; but for the real deal (read: GIANT catfish) the ponds at Bishan and Bottletree Park, or even Changi Jetty, won’t reel you in fish that look straight out of Deadliest Catch. Go hard, or go home with small ikan bilis. Only fishermen with nerves of steel and the patience of a saint will emerge victorious. Otherwise, partake in some prawning and crabbing to wile away the time while you wait for the bite. Patience, young padawan. Yes, visiting every landmark in Singapore in under 2 hours is entirely possible - though these structures are a little tinier, and a whole lot cuter. 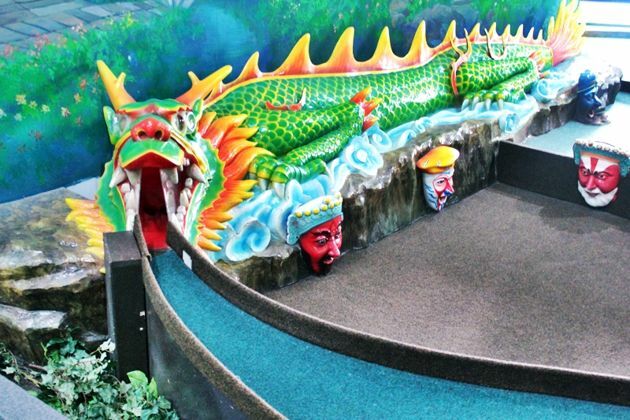 Lilliputt’s Singapore-themed indoor mini interactive golf course is fun for all ages, and a foolproof first date or family outing idea.Your lucky mini golf ball could go straight through the insides of our Haw Par Villa dragon, past the pandas of the Singapore Zoo and up on a cable car ride at Mount Faber! 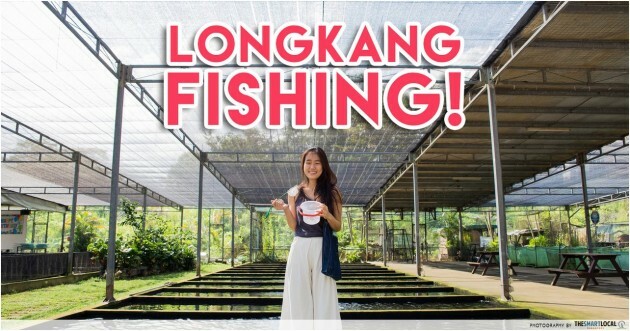 Bedok Reservoir is an open secret, yet those looking for some aquatic thrill usually turn to the Singapore Sports Hub and Sentosa instead, keeping its aquamarine waters practically empty for the Temasek Poly students. The clear waters mean you won’t be banging into fellow rowers, even while pausing to take in the sunset. 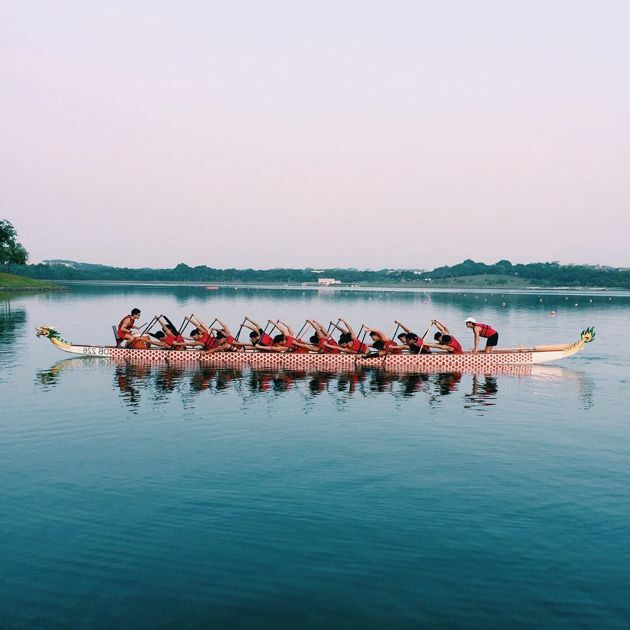 Almost every water sport is available here: kayaking, dragon boating, canoeing… though if you’re looking for a swim maybe take a detour to Bedok swimming complex instead. Once you dine at Smith Marine, any seafood restaurant thereafter that claims the ‘freshest seafood’ is a lie. 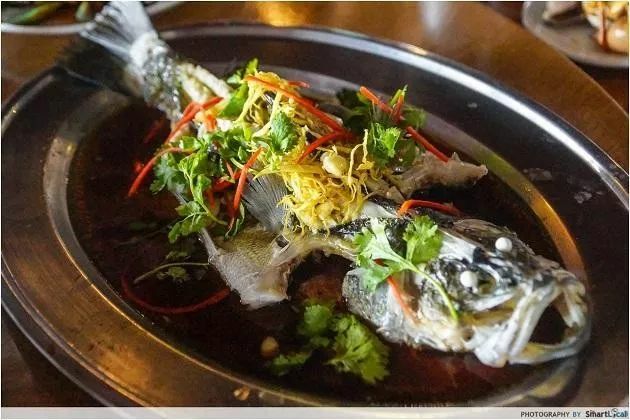 Here your dinner will be alive and swimming right up to the point of ordering, cooked however you like. 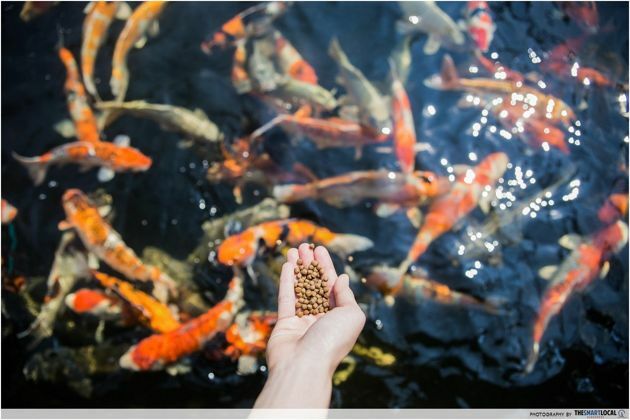 If you’d rather take dinner into your own hands, grab a rod and bait and try your luck in their “sure-catch pond”. 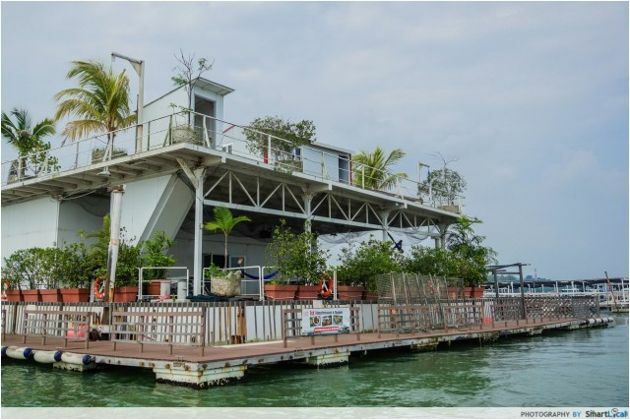 Catch a bumboat to this 5,000 sq ft structure, located between Pulau Ubin and Changi Point ferry. 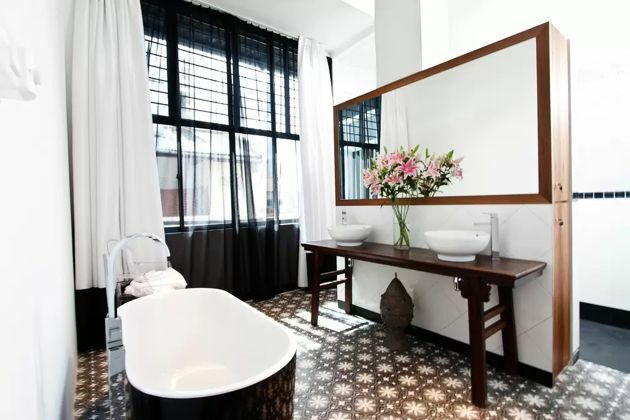 Or for the #fitspo among you, kayak to this kelong and reward yourself with a hearty meal after. 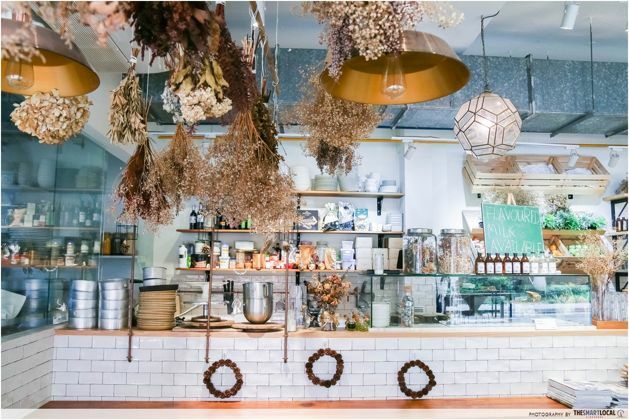 I plead guilty to waxing lyrical of the East’s food scene, glossing over the other fun things to do hidden in plain sight. From outdoorsy activities to districts steeped in culture, even Easties may feel like a tourist in their own country. 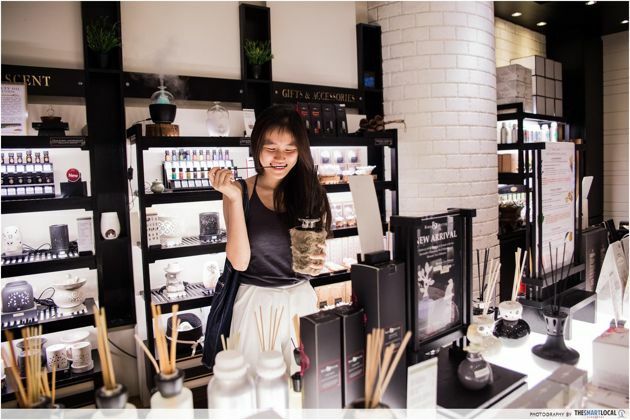 City-dwellers won’t have to make the trip to town to get their retail therapy either - with big names like TOPSHOP, Uniqlo, 4FINGERS, Ministry Of Food and Daiso among its tenants, Tampines 1 has everything you’ll ever need rolled up into one mall. 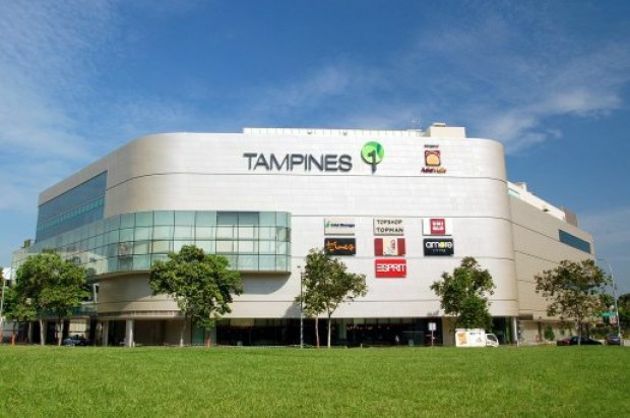 Conveniently situated right next to Tampines MRT, gear up at this glitzy mall before embarking on your east exploring! If we’ve missed any of your favourite lesser-known things to do in the East, do let us know in the comments below. 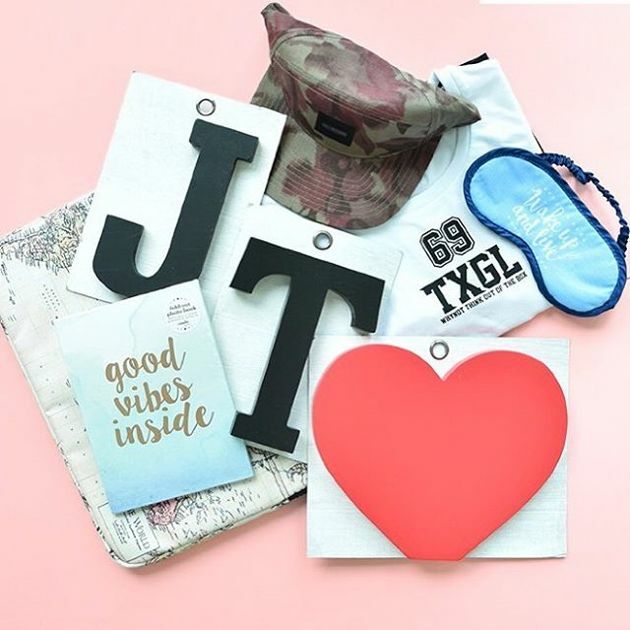 Win $100 vouchers with a flatlay picture! It’s that easy. 3 simple steps, and you can possibly be reimbursed entirely for your loot of the day! Winners will be announced on Tampines 1 Facebook and Instagram pages on 16 May 2016. Click here for more details. This post was brought to you by Tampines 1.